Many of the most watched videos are about kindness. Remember kindness is contagious. Watching these videos will lift you up and inspire you towards giving and helping others. This profile on UC Berkeley Professor Dacher Keltner highlights his breakthrough research on the science of kindness and compassion. 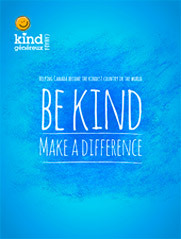 This year Dignity Health is sponsoring Kids for Peace’s “Great Kindness Challenge,” which encourages schools across the world to conduct as many acts of kindness as possible in a week, providing them with a checklist with 50 suggestions. This video from Edutopia explains how learning social awareness helps students learn in school. The way we understand our intelligence and abilities deeply impacts our success. Based on social science research and real life examples, Eduardo Briceño, Co-Founder and CEO of Mindset Works articulates how mindset, or the understanding of intelligence and abilities, is key. 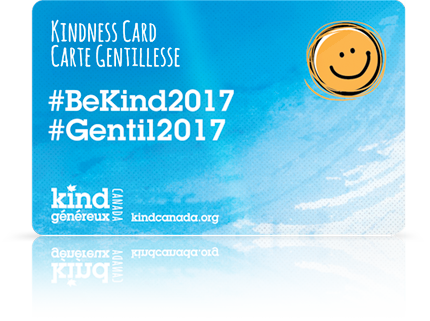 Krizovatka 2016 - Humanity…Be Awesome video has a powerful message of the importance of being yourself and kindness. Ron Gutman reviews a raft of studies about smiling, and reveals some surprising results. Did you know your smile can be a predictor of how long you'll live -- and that a simple smile has a measurable effect on your overall well-being? Prepare to flex a few facial muscles as you learn more about this evolutionary contagious behavior.